Stuck in between Halloween and Christmas, November often gets overlooked in terms of events. Time to change that, we think. Stand tall, November, and show us what you got! Foodies, unite! The Taste of Melbourne Festival is returning once more to dazzle our taste buds. A mix of local favourites and young, up-and-coming restaurants will gather at Pelican Lawn to present their finest dishes, and all you have to do is head down and taste them! Estelle Bistro, Supernormal and tapas kings MoVida are amongst the first to be confirmed, with plenty more big names on the way. Hang out with the chefs, take in the sights and enjoy some fabulous live shows as you gleefully gorge yourself. Trust us – it’ll be a good life decision. One of many wonderful things brought to us by Good Food Month, the Night Noodle Markets transform beautiful Birrarung Marr into a true-blue hawker market. Sample mouth-watering treats from all your favourite Asian eateries, from the dumplings of Wonderbao to Chin Chin’s spice-tastic Thai fusion goodness. And if you’ve got a sweet tooth, don’t worry. The markets have you covered, with the likes of Black Star Pastry, N2 Extreme Gelato and Gelato Messina serving up all the dessert delights you could dream of. And as well as all that, you’ve also got entertainment in the form of live music, acrobatic dragon dancers and fabulous chef demonstrations, so make sure you check it out! It’s one of the largest celebrations of body art on the entire planet, and the Australian International Tattoo Expo is rolling back to Melbourne for another triumphant year. Some of the industry’s most exciting names (Corey Devine and Jesse Smith, for starters) will be there to mingle and show off their stuff, and you’ll never have a better chance to immerse yourself in the latest trends, techniques and styles enveloping the world of tattoos. Tons of daily competitions let you put your ink to the ultimate test, and there’s no shortage of food, drink, vendors and entertainment to keep you going. Sounds ink-redible to us! 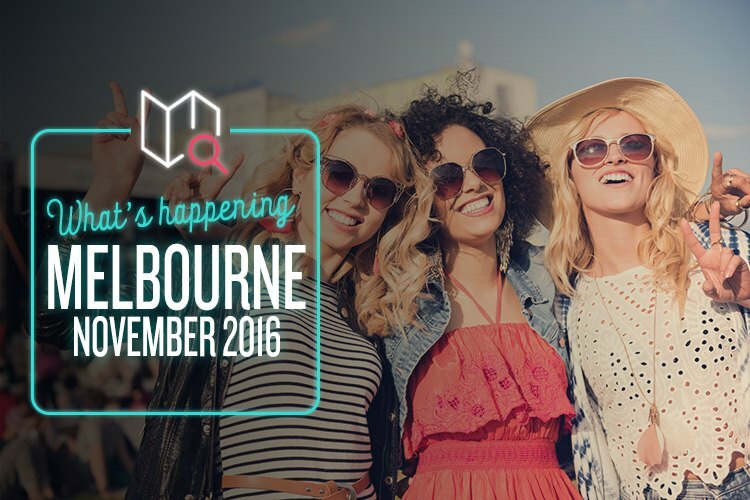 This November, the magnificent Victoria State Library morphs itself into the headquarters for one of Melbourne’s most awesome events. Melbourne Music Week invites over 240 artists from all around the world to our fair city, where the power of music takes control. Every genre is catered for, and practical workshops, panels, fashion and food all have their parts to play as well. This one of the greatest highlights on the Victorian cultural calendar, and is absolutely not to be missed.